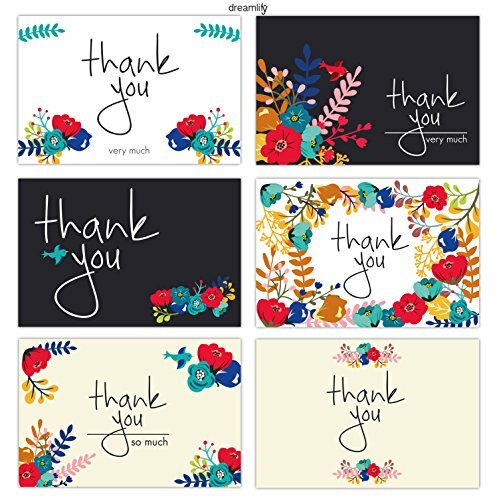 GREAT FOR ALL OCCASIONS: A personal heartfelt note of gratitude or sympathy is always a nice gesture: Wedding, Baby Shower, Professional Business, Anniversary, Bridal Shower, Graduation, Birthday, Engagement, Funeral, Sympathy, Baptism and more! In dreamlify, we are convinced that a note of gratitude or sympathy is one of the simplest and nicest gestures to make people happier (both the one who sends it and the one who receives it) and the world a better place! Click ADD TO CART and make people feel happier! The design is suitable for any type of event and for any time throughout the year (fall, winter, spring or summer). 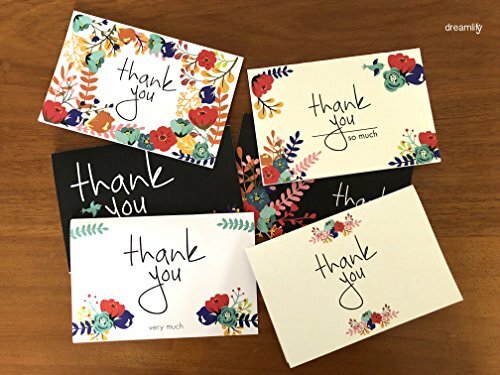 Send one card to a special person or multiple cards after a special event like a baby shower, birthday party, wedding, anniversary celebration, graduation, funeral, business… Order multiple boxes for big occasions and keep a set on hand for saying thanks throughout the year. Blank cards inside with matt finish to write your message easily. Packaged for convenience, the set includes 36 cards and 36 envelopes. 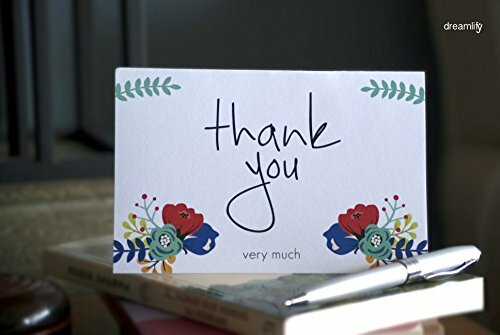 Customize your thank you note and send it out. The print is based on a handmade modern floral design that creates a colorful and warm feel that recipient will love (especially among women, girls, teens and kids). The set is made up of 6 x different designs. Part of the profits of every set of “dreamlify” Thank you cards sold in the US market will be donated to help protect the US forests from the wildfires that happen every year. This is our way to say thank you to our customers for trusting us and give back to the society! Please, feel free to contact us in case you need more information, a personal advice or in case the product has not satisfied you. We are always looking to improve and the best way to do it is listening to our customers. Start changing the world by adding this to your cart!